The SPY continues to trade within a range. (see chart above for range). 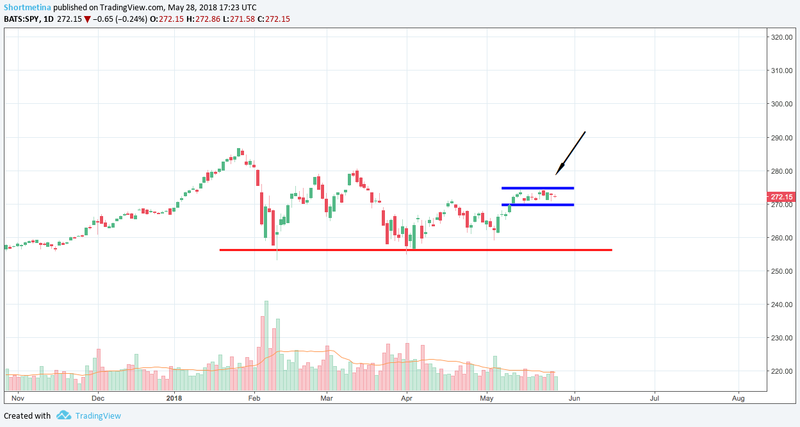 A break above $275 and the market can begin to rally. We remain focused on the action of the overall market; although we are finding individuals stocks to trade. A premium member winning trade. We went short Spotify a few weeks ago; and at our peak, made about 10-12/dollars for every share owned. Listen to video for how I am viewing this stock and trade. ​A premium member winning trade. We entered this trade with a buy-zone of $15-$16. Despite last week's pull back; I remain bullish on Under Armour. Add to your watchlist.